‘Tis the season for tricks-or-treats, but we all know which one is sweeter. For a sugar filled Halloween, check out these handpicked treats sure to spook and delight your friends and family come October 31. 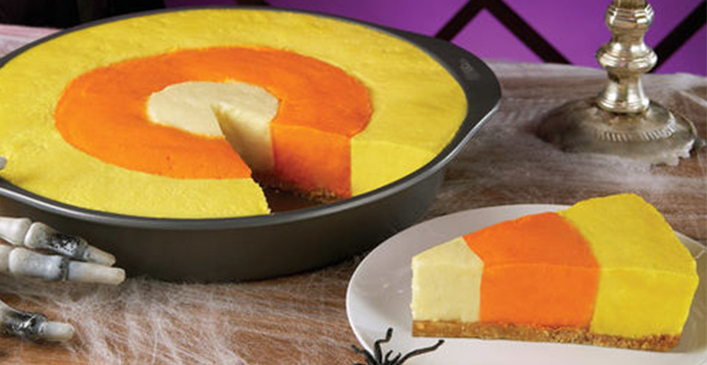 By using different sized cake dividers, you can create a cheesecake that resembles candy corn! The middle ring is kept the natural cheesecake color, while the inner ring is dyed yellow, either with food coloring or icing, and the outer ring orange. Although the cake will resemble a target when whole, each slice will look like a triangular, tri-colored piece of candy corn. 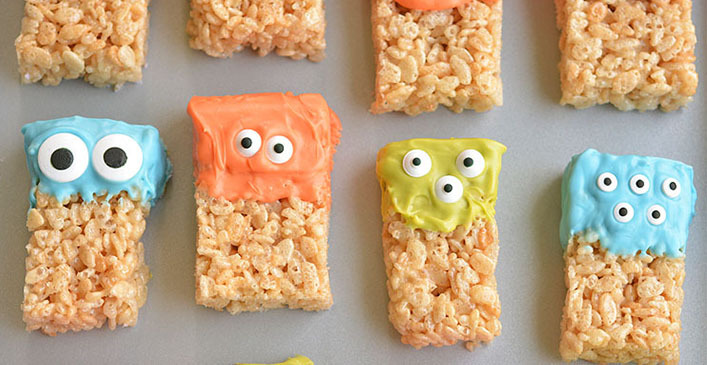 Add some Halloween flair to boring rice krispie treats, by turning them into little monsters. Microwave different colored candy melts on 50% power and add a little bit of cooking oil when completely melted. Dip each rice krispie square in your melt color of choice, then lay on parchment paper. Add the candy eyes right away by pushing in and up into the melts and let harden for 40 minutes. This version of caramel apples is a lot less messier than the original. Simply slice apples in half to three quarter inch pieces, insert candy sticks, and dip in melted chocolate. 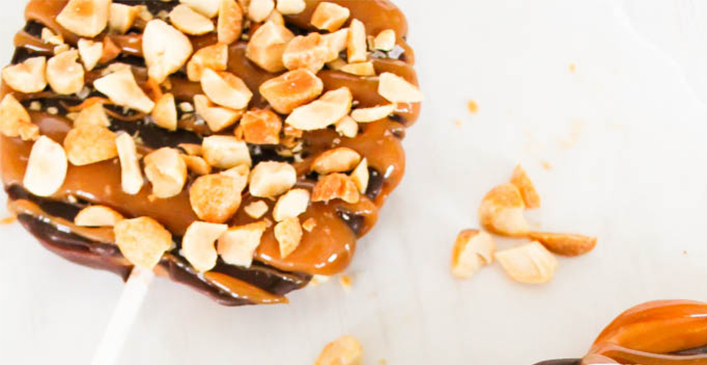 While the chocolate is hardening, drizzle with melted caramel bits, caramel syrup or melted white chocolate for contrast, and add additional toppings, such as nuts and sprinkles, to your heart’s content.